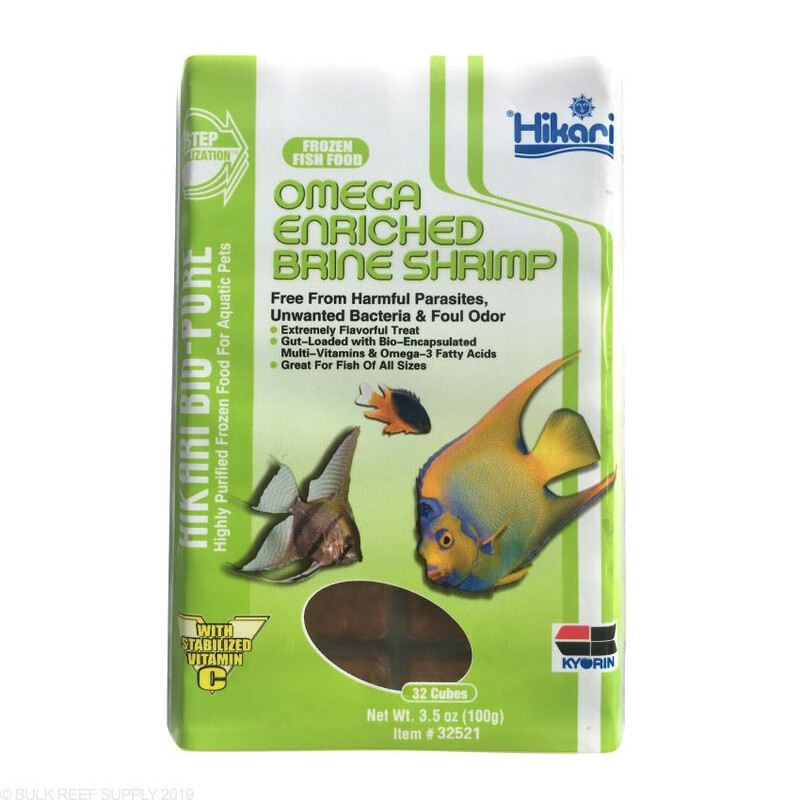 An excellent food for finicky fish that require nutritious food but may not be ready to accept full size mysis shrimp. Frozen Brine Shrimp that have been harvested when they are gut loaded with omega-3 and omega-6 fatty acids. 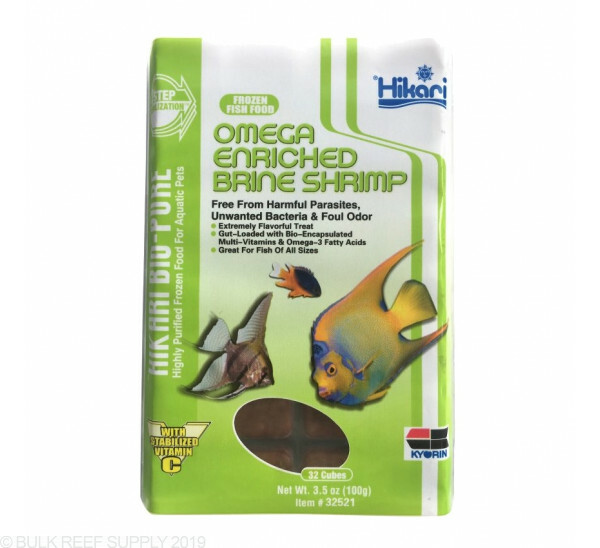 Feeding this excellent treat will trigger your fishes feeding response while providing nutrients found commonly in natural algaes. Feed only as much as your fish will consume in a 1 minute period multiple times a day. With smaller particle food it is best to feed very small amounts multiple times a day over a single large feeding.